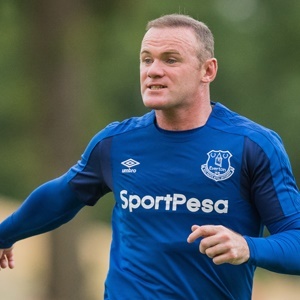 Cape Town - Everton forward Wayne Rooney didn’t want to blame caretaker manager David Unsworth after Atalanta thrashed them 5-1 in the Europa League. The Toffees went behind to a Bryan Christante double at Goodison Park before Sandro Ramirez scored to give hope of a comeback. However, a goal from Robin Gosens and two more from Andreas Cornelius made it another embarrassing defeat. "There's nothing riding on the game but it's our pride," Rooney told BT Sport, as the Toffees were already eliminated from the competition ahead of the match. "It's not nice to lose games and the manner we lost it is very disappointing and upsetting. There's nothing much more to add. "We wanted to win the game, we haven't and that was a hurtful defeat for us. Getting the goal to make it 2-1, we were back in the game and had a couple of chances to equalise. "Sloppy goals, set plays – we knew they were strong from set-pieces and we didn't deal with them." Everton have now lost four and won just one of the six matches since Unsworth replaced Ronald Koeman at the helm, leaving the Toffees 16th in the Premier League standings ahead of Sunday’s trip to Southampton. "We all have to play a role," Rooney added. "Obviously [there has been] a change of manager and I think it's been a popular change in terms of performances, tonight aside. "It's the board's decision [whether to keep Unsworth]. Since David Unsworth has come in there's been a great atmosphere among the players, some positive results and the players are enjoying day-to-day training. "We have to keep trying to pick up points in the Premier League and move up the table. The board have got a decision to make and I'm sure they're working on it."